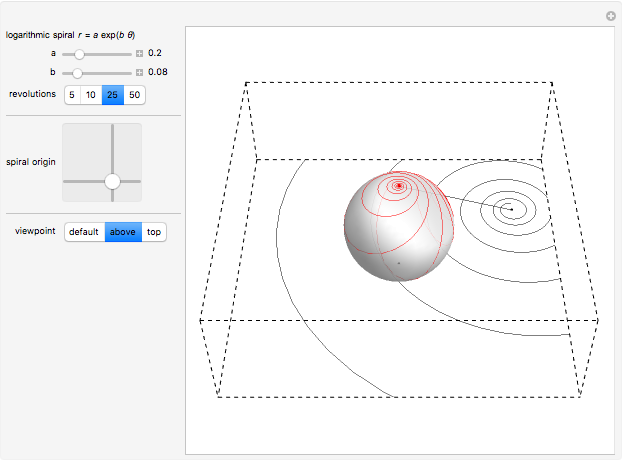 This Demonstration shows the inverse stereographic projection of a logarithmic spiral onto the unit sphere. 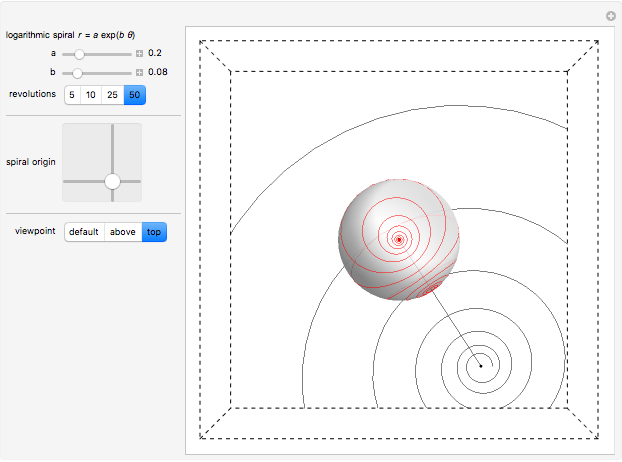 You can move the spiral in the plane; it maps on the sphere as a loxodrome. 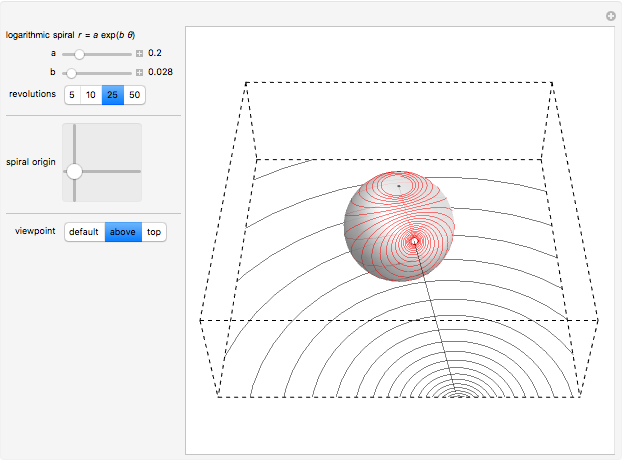 The inverse stereographic projection of the point to the unit sphere is the point . A logarithmic or equiangular spiral is defined as a two-dimensional curve that cuts all radial lines at a constant angle. Its polar equation is given by . A loxodrome on a sphere (spherical spiral) is a curve that cuts all meridians at the same angle. The stereographic projection of a loxodrome is a logarithmic spiral. Erik Mahieu "Inverse Stereographic Projection of the Logarithmic Spiral"